Head on over and check out Today's Daily Deal! Save 55% on the 59% on the Women's Running 980 Now Only $44.99 Now Only $49.99 with Free Shipping at JoesNewBalanceOutlet.com! Born of science, the Fresh Foam 980 Trail is unlike anything you've ever stepped into. 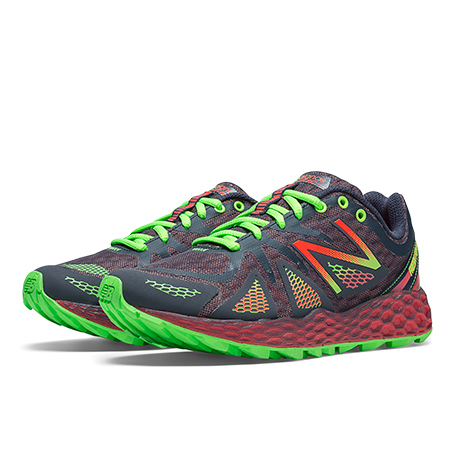 Developed using specialized design software, this women's trail running shoe features a full-ground-contact outsole that grips uphill and downhill for great traction. And while you're on the move, the gusseted tongue helps keep trail debris from getting into your shoes. For a secure fit, the breathable mesh upper features simple no-sew overlays that wrap your foot in all the right places. The New Balance Fresh Foam 980 Trail: incredibly soft yet stable-even on tough terrain.